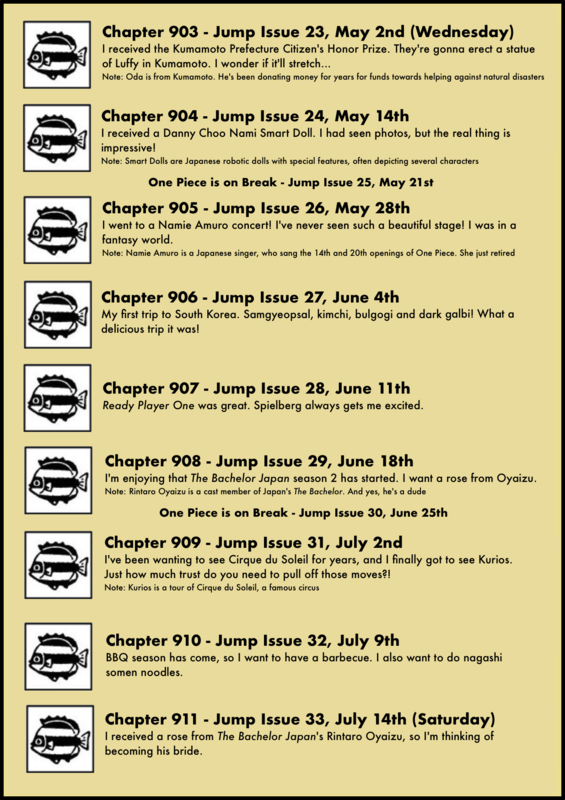 Some of you might not know this, but every week that an issue of Shonen Jump comes out, each manga author is asked to include a little message with the issue. Be it a comment about the series, something that happened in their life or anything whatsoever! 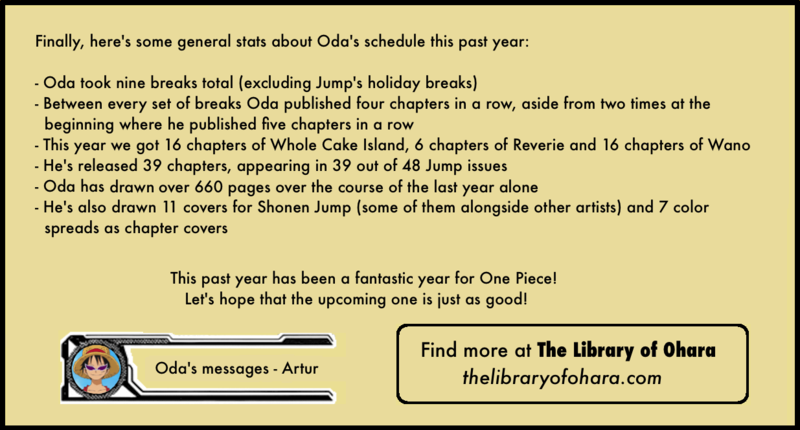 This of course includes Oda as well, so I decided to bring it to myself to gather all of his comments over the past year in Jump, to give an insight into his life. 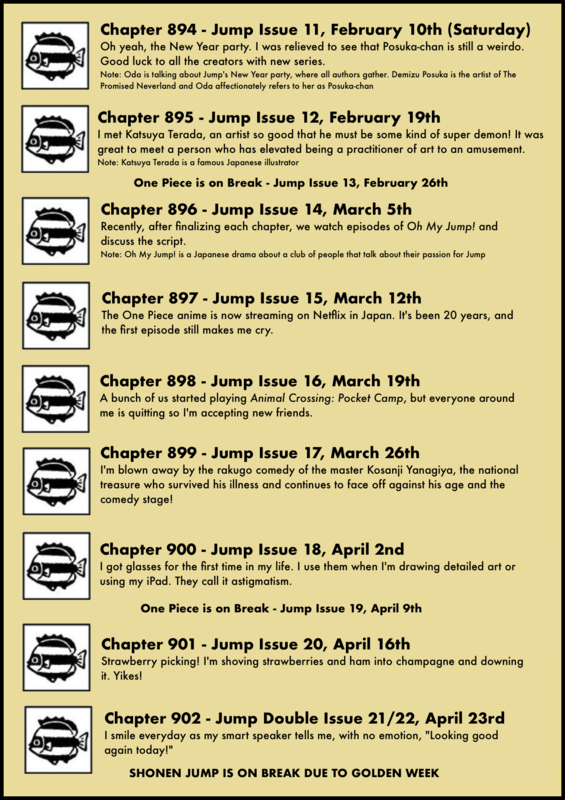 Note that Shonen Jump begins its year of issues in December (right around now), hence why Issue 1 released on December 4th 2017 and why the final issue was the one that just came out (Chapter 925). 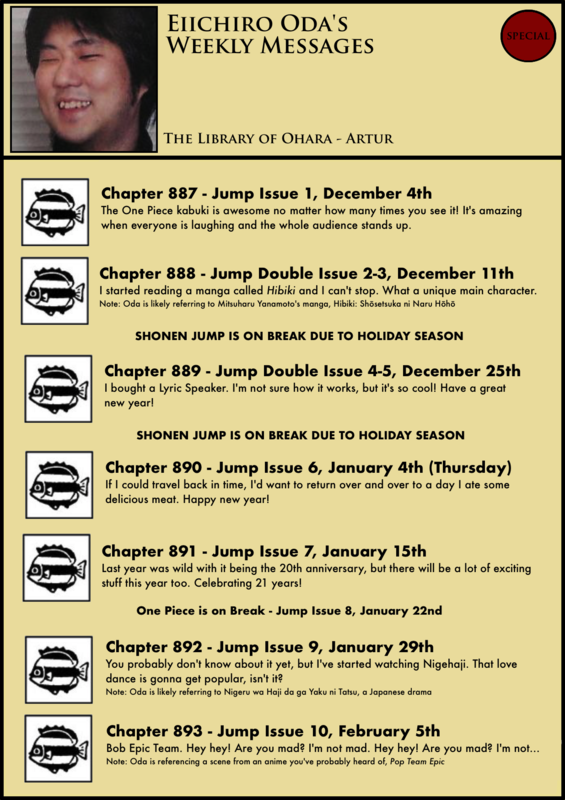 This upcoming chapter will be the first one in Shonen Jump for this next year. 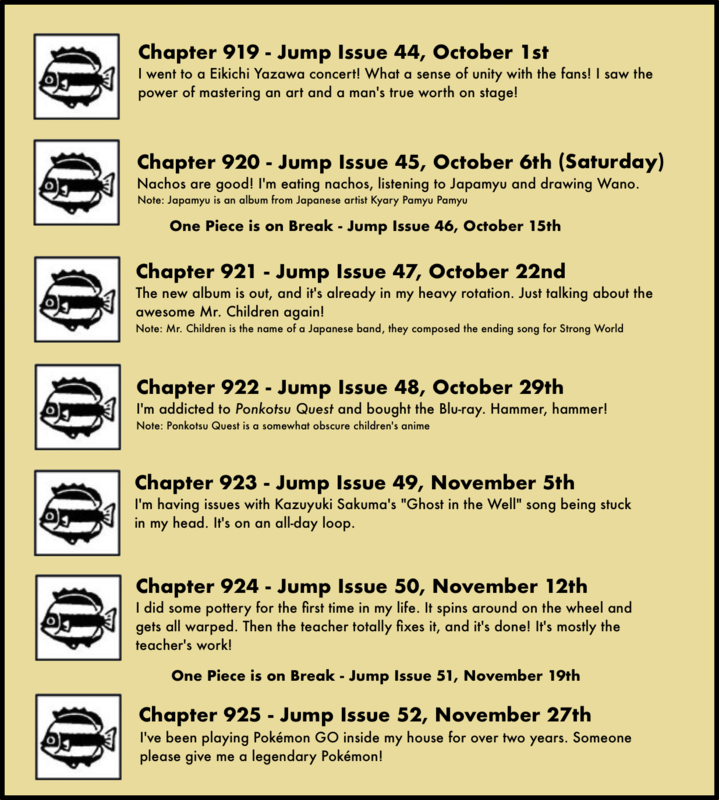 Also, I apologize for all the notes included, but a lot of the stuff he mentions is exclusively Japanese, so I wanted to make sure it was clear enough what it says. 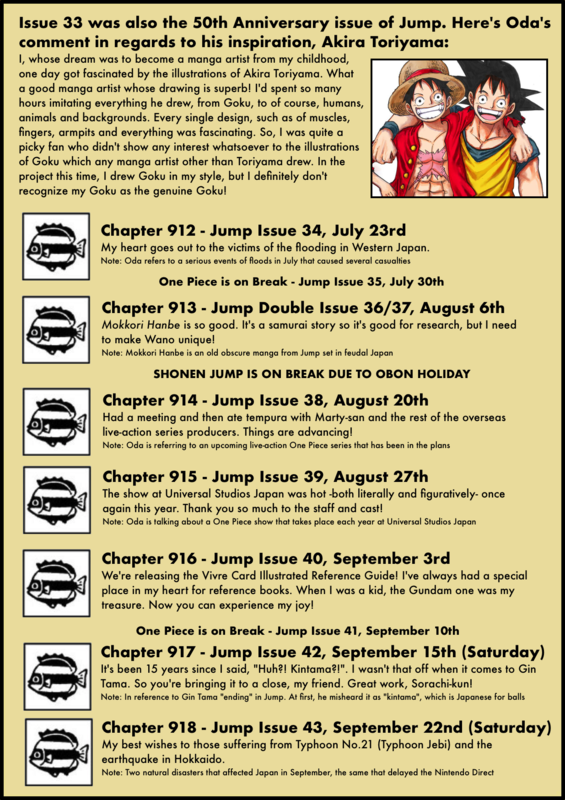 I love any windows into Oda’s world–it’s one of the reasons I keep my Shonen Jump subscription. 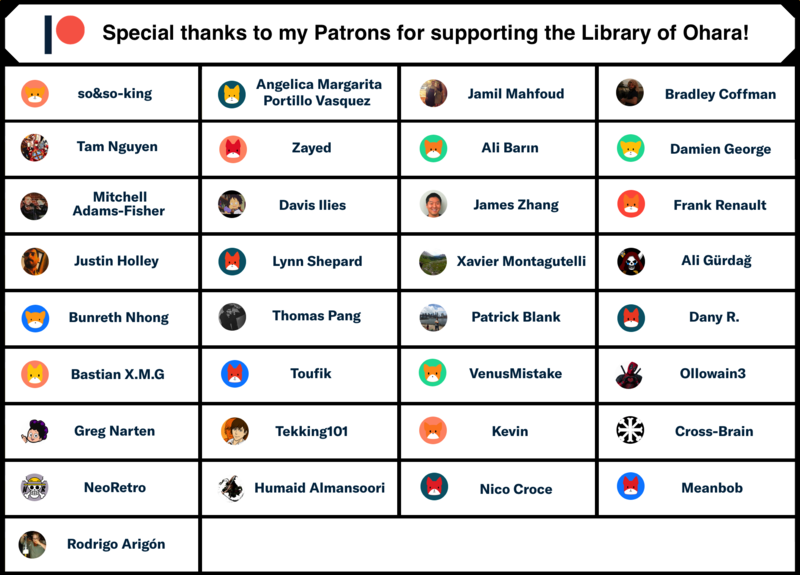 Thanks for doing this!